Our team had 11 people from 4 different states – North Carolina, Texas, Kentucky, California and Delaware. All had been to Swaziland more than once, except for two on the team. This team went with a ministry focus of training, medical, evangelism and construction. 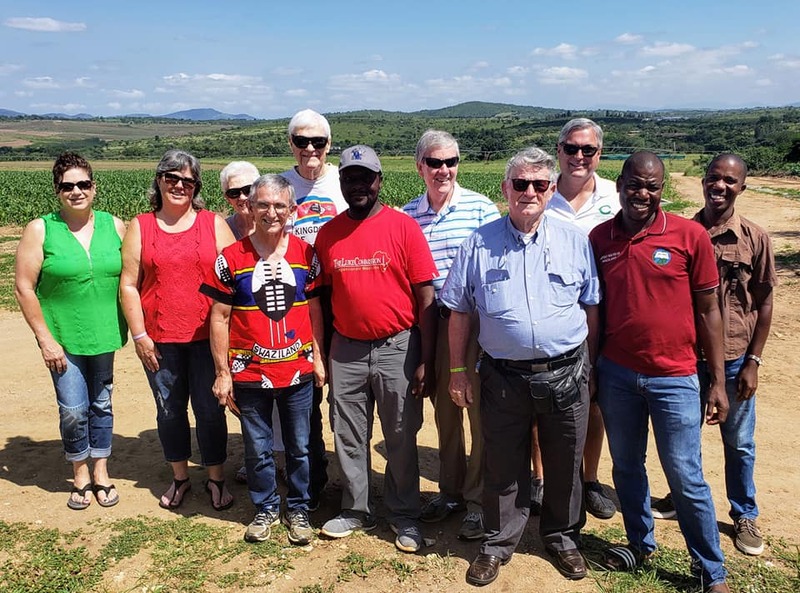 Our first weekend in Swaziland, four members of our team had arranged for a Community Bible Study Training time in the capital city of Mbabane. The training was a wonderful success with 40 being trained. Also our first weekend in Swaziland, the rest of the team was in Nhlangano down south. 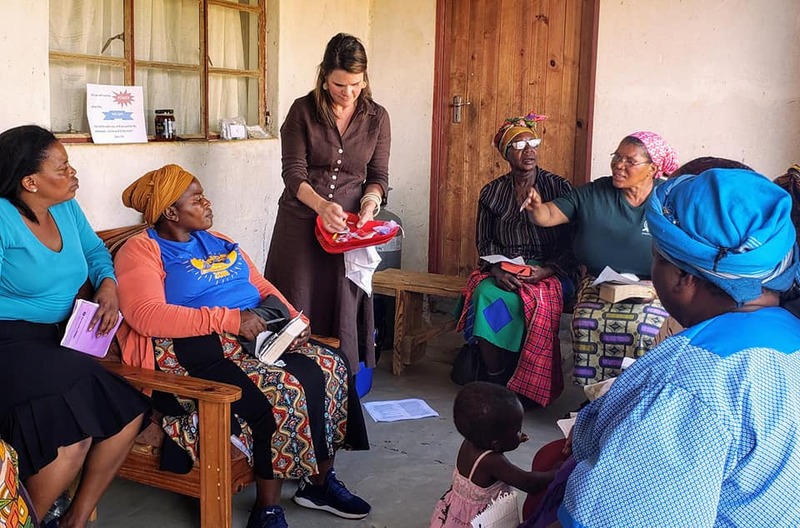 The team in the south quickly became busy with ministry as the first weekend medical clinics were conducted and a weekend youth retreat was held with about 45 youth attending. Our medical team was made up of 1 dentist, 2 nurses, a ministry station where each patient was prayed for and the gospel shared and also an eyeglass station to help those needing glasses. Each evening we were busy sorting meds and preparing for the next day. In all, 7 one-day clinics were held and more than 700 patients were treated by the team. On the first Monday, roof construction materials were bought and delivered to Velebantfu Baptist Church and work began on putting the roof on. The roof was nearly completed by the end of the week and was finished shortly after we returned to the states. Thursday was our sightseeing day and day of transitioning from Nhangano in the south to Tshaneni in the Northeast. While in the northeast, our team continued with medical clinics working with the Rehmeyer’s at the Kudvumisa Clinic on Friday and Saturday. Those not working with the medical team conducted home visits on Friday and were able to take food packets to some in need. Friday evening, we had a church service at Mafucula High School in a packed room. On Saturday, we conducted a time of teaching with youth and adults with about 40 attending the teaching. That evening we had another service in a packed room at the High School. We were blessed with 3 pastors on our team and Monday through Wednesday evening, revival services were held at Velebantfu Baptist and Mgamudze Baptist. We know at least 3 made professions of faith in Jesus. Wednesday was our final day in Shiselweni and our final medical clinic was at Zikhoteni. For our final evening, we were able to have services at Zikhoteni, Mgamudze and Velebantfu. I will share this heartbreaking story that happened on Friday during our home visits. We had 2 more home visits planned and we stopped along the dusty gravel road and parked. We walked about 200 yards down the hillside to a homestead not knowing what was waiting for us there. As we came to the homestead, we found a Gogo lying on the concrete floor in the doorway. She was probably there so she could feel any breeze that may blow by. When we saw her, we immediately saw how sick she was and knew she was in trouble. We walked up to her room and you could hear what we call the “death rattle” as she labored to breathe. Her husband was inside the room sitting on the floor against the wall. Two of our men helped him up to bring him outside. As they helped him, he had to step over his dying wife. They led him over to a place where he could sit on something solid. I talked with our Swazis and said this lady needs help, but she is too fragile for us to try and take her in the van to the clinic. So, I called the clinic where our team was working and told them the situation. I told them I do not think this lady will survive, but I wonder if you can come by when you finish at the clinic and maybe make her as comfortable as possible. They said they would. Due to culture, we needed to stay a bit while neighbors came by and explained what they knew. When it was time to go, I asked one of our pastors if he would pray before we left. In his prayer, he said something like, “Lord, I don’t know how many times you have passed by here for this lady, but Lord I’m asking if you would pass by just one more time.” He finished his prayer and we said goodbye and left. The lady must have died not long after we left as the nurses came by within an hour and I got a text message from one of the nurses saying that they found the Gogo already gone. It was an emotionally difficult visit, but I am glad the Lord brought us by that homestead at that time. One pastor shared in our last Sunday combined service that he felt the Lord confirm in his spirit that you asked me to pass by one more time and I came by. He said, I believe when the Lord came by, she reached out and took His hand and received him as her savior. I agree with him and believe we will meet again in heaven one day. After a wonderful worship on Sunday at Vuvulane Baptist Church, we loaded our vehicles and left for Kruger Game Park to enjoy God’s creation and a time of rest, reflection and debriefing and sharing all God had done.